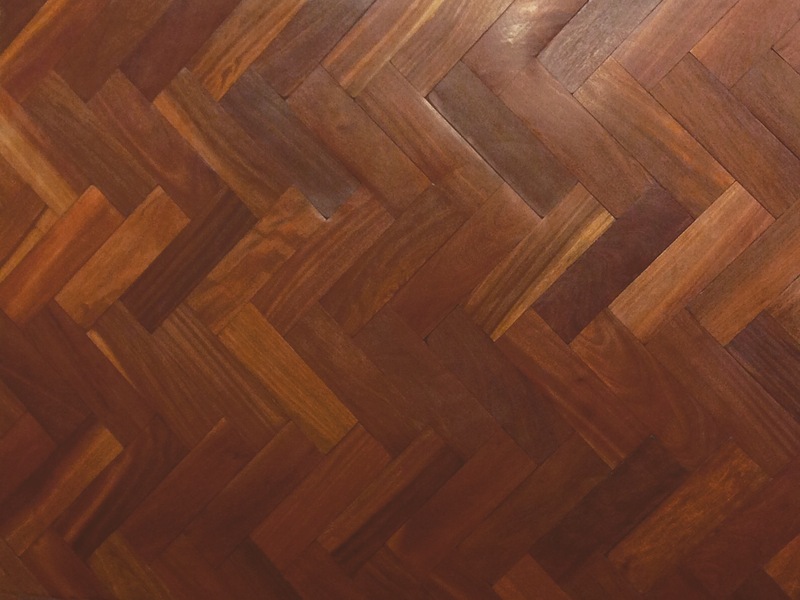 Jarrah parquet is a timber of great strength consequently it is highly prized. 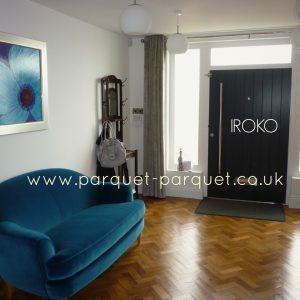 It is a dense and relatively heavy block with excellent durability and hard wearing qualities. 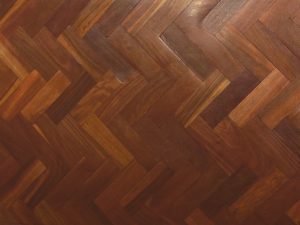 The colour is a dark red brown generally consistent with some small black marking in the grain. Jarrah is found in early 20th century buildings having been imported from Australia, at the time part of the British Empire. You can learn more about this species here on our wood types webpage. This Jarrah block was reclaimed from Ellesmere School, Leicester. This is an acme fixing block. 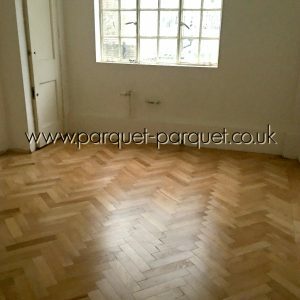 The parquet is in good, reclaimed condition but has a dry glue on the surface which will sand off with a coarse grit paper. Before buying your parquet we recommend you request a sample so you know what to expect. The blocks will require some preparation, prior to laying, particularly along the edges. This will give a tight fit and therefore a better finish. In addition of course the floor will need several good sanding passes after the completion of the block laying. 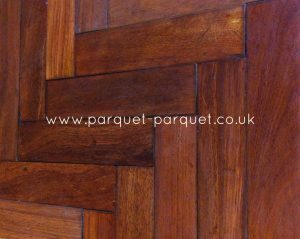 The photos show Jarrah blocks laid as a panel, sanded and polished. 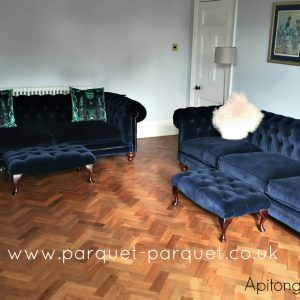 The featured photo is some of our Jarrah block (possibly a different size to the one advertised) laid by one of our recommended fitters for a customer.